The Russian Foreign Ministry strongly condemned US attempts to form an alternative Venezuelan government, stifling the Latin American country with sanctions. 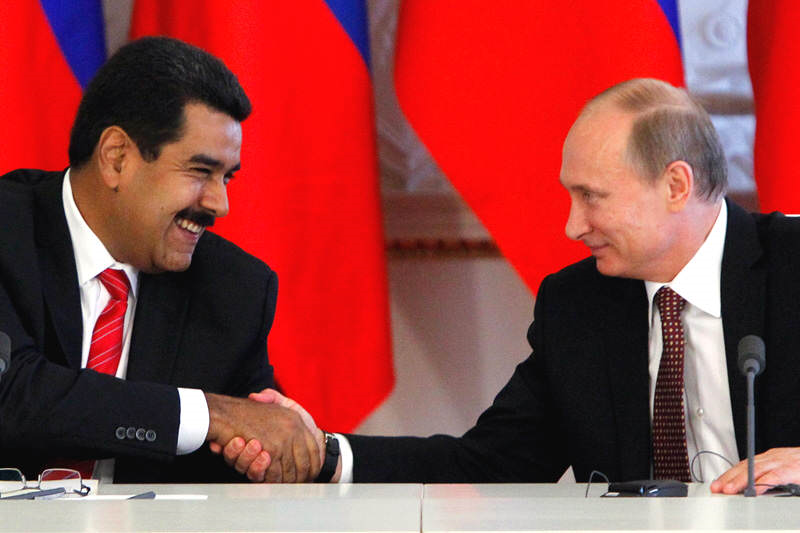 The commentary said on the website of the Russian ministry: “The brazen line of Washington’s unconstitutional formation of alternative structures of government in Venezuela, the attempts to ignore reality, designate Venezuelan authorities as legitimate and deny this to others, suffocating the country with sanctions, leading to a deterioration of the socioeconomic situation and reaching painfully the pockets of ordinary Venezuelans, is an undisputed offensive against Venezuela’s sovereignty”. Recently, US Secretary of State Mike Pompeo had discussed the situation in Venezuela with the Venezuelan National Assembly’s opposition leader, Juan Guaido, who until a few days ago led the country’s parliament. In 2017, Venezuelan President Nicolás Maduro convened a National Constituent Assembly, totally controlled by the government, and the National Assembly can not make political decisions. “It is necessary to promote the search for internal harmony, uniting the efforts of the government and the opposition to reduce tensions, improve the situation of the country and rule on the principles of unity. Naturally, provided that all political forces in the country observe the Constitution and the current legislation,” the statement said. The re-election of Nicolás Maduro on May 20 and his subsequent inauguration on Thursday has been widely criticized by neighboring countries. The Organization of American States (OAS) and the Lima Group did not recognize the president-elect’s powers, while Paraguay broke diplomatic relations with the country. The US also took a similar stance, increasing sanctions and pushing Caracas. This isolation however is only pushing Caracas towards Beijing and Moscow. “[Maduro’s government] will bet, it has been betting since last year, with the deepening of relations with China, Russia, India, Turkey, that is, returning its economy to Asia – which is becoming in recent decades, the center of the world economy – and secondarily to politics with the Americas and with Europe,” said Roberto Santana, professor of History and International Relations of UERJ. This entry was posted in News and politics and tagged China, India, Moscow, OAS, Pompeo, President Maduro, Sanctions, Turkey, Venezuelan Government. Bookmark the permalink.